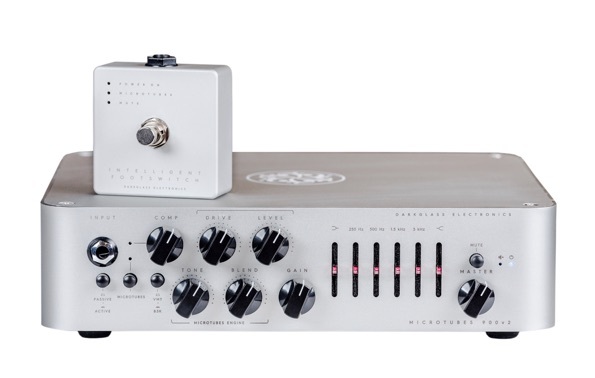 Back in 2016, Darkglass Electronics released our first bass amplifier, the Microtubes 900. An uncompromising model, incredibly versatile and unapologetically loud, its features and design embodied the Darkglass ethos like none of the brand’s previous products. Now we are proud to introduce the next step in our bass amplification evolution, Microtubes 900 v2. Microtubes 900 v2 features both of Darkglass’ celebrated Microtubes engines. From the powerful dynamic saturation circuit from the B3K, to the classic overdriven tone from the Vintage Microtubes, clean, classic and metal tones are only a step away. Our signature drive engine adds incredible girth and size to the overdriven signal, but the studio-grade VCA compressor also adds an extra layer of control. Add in the ultra-quiet 6-band graphic equaliser and you have an amplifier that can help sculpt the tone from aggressive and overdriven, to warm and punchy and all the way to crystal clear clean sounds’. Whatever your tone needs may be, Microtubes 900 v2 features all the options the modern, professional bassist needs in a compact, sleek and powerful format. However, that’s not all. The MIDI programmability and impulse response cabinet simulation, with up to three different storable virtual cabinets, make the Microtubes 900 v2 not only most complete amplifier for the touring musician, but combined with the auxiliary input and headphone output, the ideal tools for silent practicing too. Three speaker cab Impulse Response slots, selectable via the Cab Select switch. Connects the amplifier to your cabinet. This Speakon combo jack allows for either Speakon or ¼” speaker cable operation. *WARNING: Do not use an instrument cable with this jack. Using an instrument cable can damage your amplifier. Press when using a 2Ω load. You can use this control to lower the output if your 4Ω cabinet is not able to handle more than 500W (you can also get 350W with an 8Ω cabinet in this configuration). This output connects the preamp to a different power amp. Lifts the ground of the DI XLR output. If a ground noise in you DI signal is experienced, try changing the setting of this control. 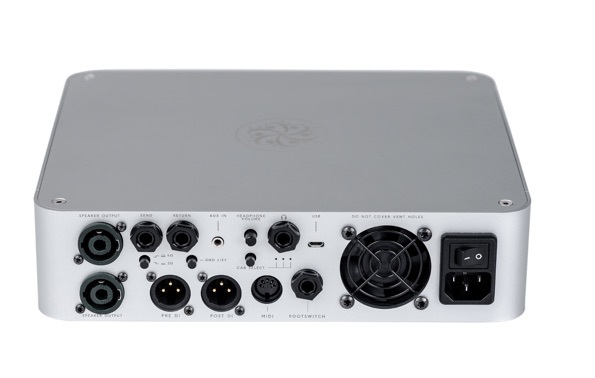 Connects the Microtubes 900™ preamplifier to balanced equipment (mic preamp, console, recorder, compressor, audio interface, etc.) via a standard XLR jack. The Footswitch allows you to remotely engage and disengage the Microtubes Engine. Hold the footswitch to Mute the amplifier. The VMT/B3K push button will remain operational with the Intelligent Footswitch plugged in. * Use a regular mono instrument cable to connect the amplifier to the footswitch. * Remove the cable from the footswitch jack in the rear panel if you want to control the amp from the front panel. 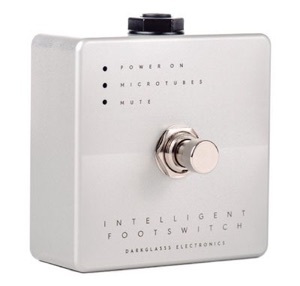 * The Microtubes 900™ will only work with our proprietary Intelligent Footswitch (included with the amplifier). A generic Footswitch will not work with the Microtubes 900. Connects the power cord to the amplifier. Turns the amplifier on or off. 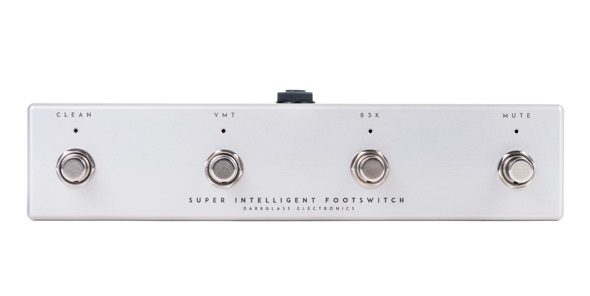 The Super Intelligent Footswitch is the perfect match for our award winning Microtubes 900 Amplifier. It allows for easy access to the wide tonal options the amplifier offers: Clean channel, Vintage Microtubes and Microtubes B3K overdrives and Mute are now a stomp away. Clean - Crisp, transparent and incredible versatile clean channel with 4 Band EQ. VMT - Will bring up the mids for a warmer, more neutral character of our Vintage Microtubes. B3K - Will deliver an aggressive, percussive sound of our Microtubes B3k. Mute - Mutes the amplifier for tuning or other purpose. 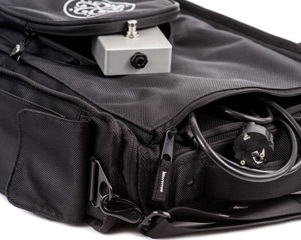 This compact, light and comfortable bag it's the perfect companion for our Microtubes 900, and its sleek design it's not only beautiful, but also functional, as its pockets allow you to keep cables, the amp footswitch and even a pack of strings, all in one accessory. 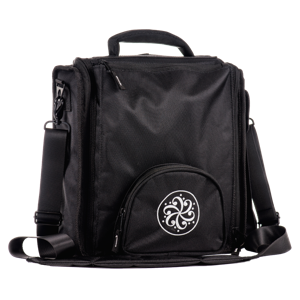 •Big exterior pocket perfect for strings, cables, etc. •Small exterior pocket perfect for your Intelligent Footswitch. •Internal Pads to protect your Microtubes 900.